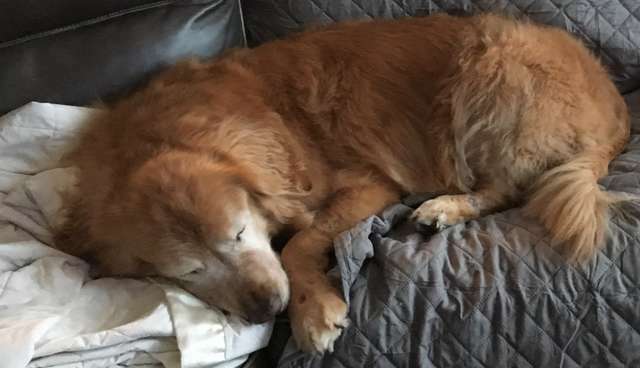 Charlie is a sweet 11-year-old senior dog who loves napping and hanging out with his family. A few years ago, Charlie got glaucoma and unfortunately had to have both his eyes removed. While Charlie seemed healthy, his owners did notice that he moved slower and seemed less excitable. 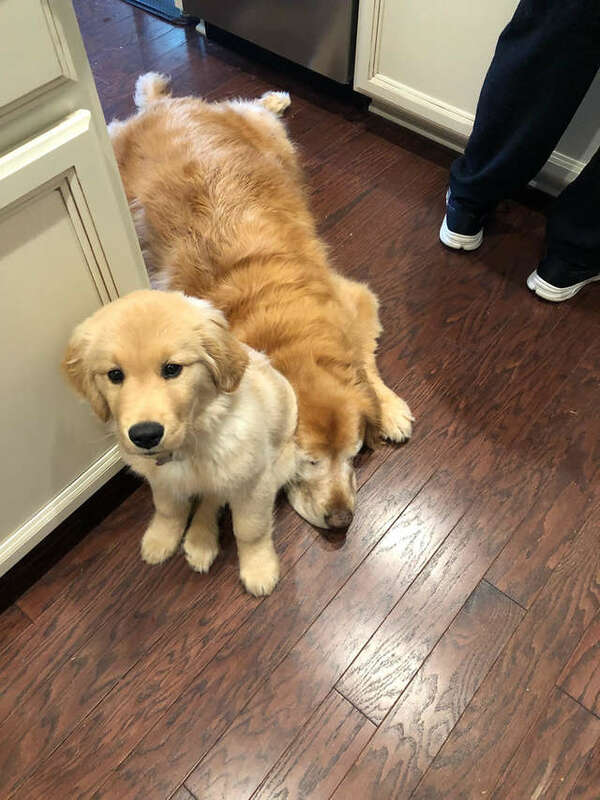 His loving owners wanted to bring back some of his old spark, and so they decided to adopt a Golden Retriever puppy named Maverick. Charlie’s parents brought Maverick home and introduced the dogs. 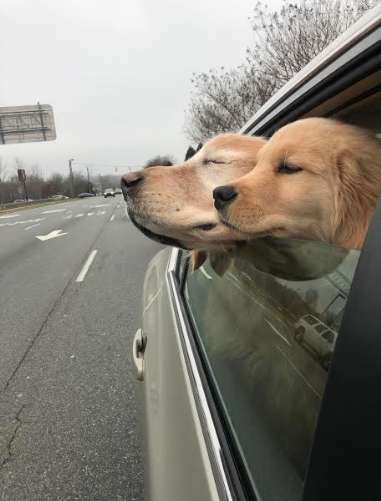 The two immediately became best friends! Charlie and Maverick’s mom, Chelsea Stipe, was amazed by the change in Charlie’s energy levels. The senior dog seemed like a puppy again. 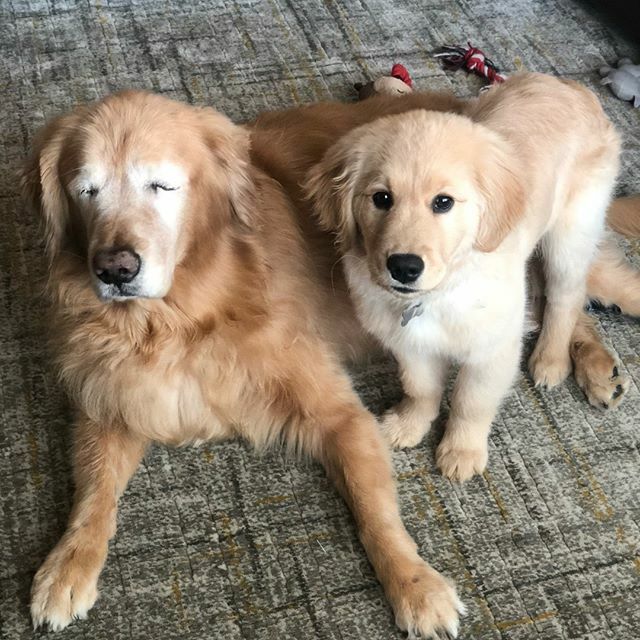 Maverick has also begun acting as a seeing eye dog for Charlie. 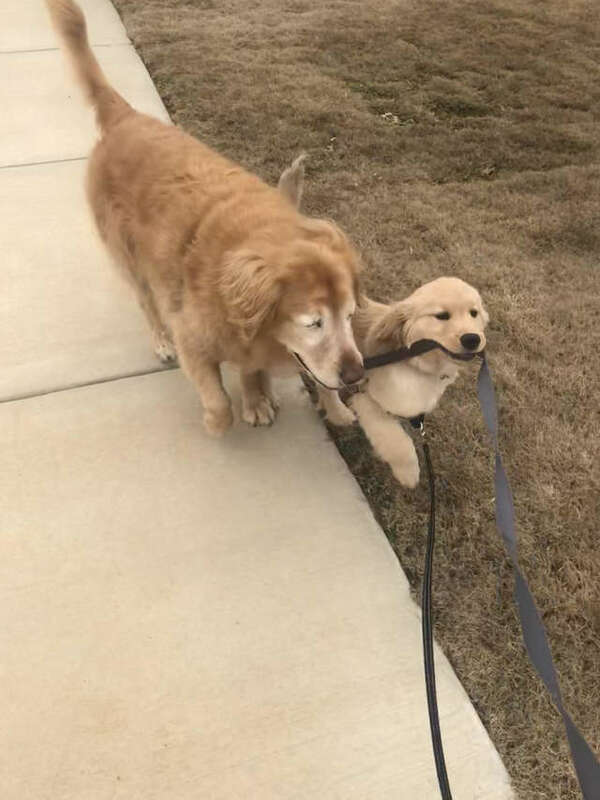 When the pups are on their walks, Maverick will lead Charlie around, keeping him safe from any obstacles in his way. The pair also have a great time when they’re hanging out at home. Maverick and Charlie will often curl up next to each other for naps. They also love relaxing in the sun together. 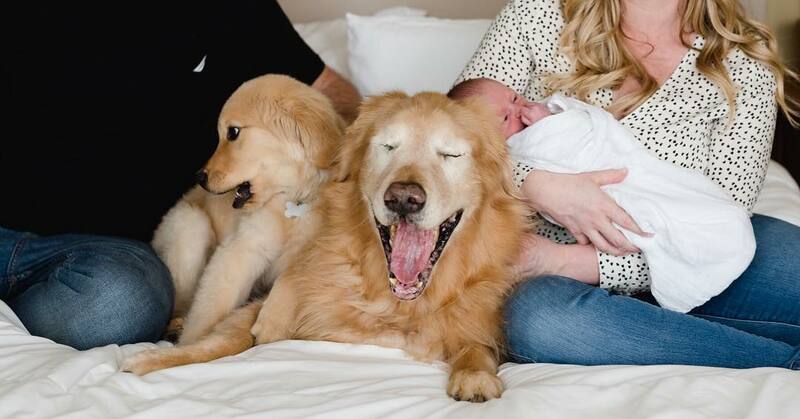 Stipe recently gave birth to her first child, and both dogs have a done a great job looking after their tiny human sibling. The dogs and baby all love each other more than anything! Stipe recently started an Instagram page for Charlie and Maverick, and it received over a hundred thousand followers in just a week! 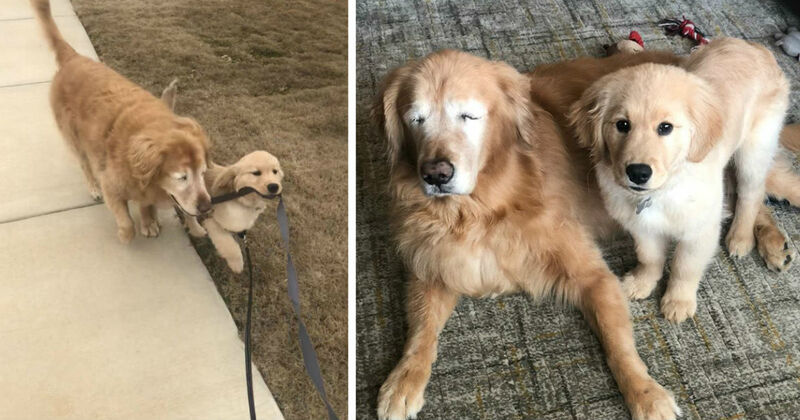 Everyone is in love with Charlie and his seeing-eye puppy. Stipe is so happy that her sweet senior dog is doing so well. Charlie and Maverick are a sweet pair who love spending time together more than anything in the world. 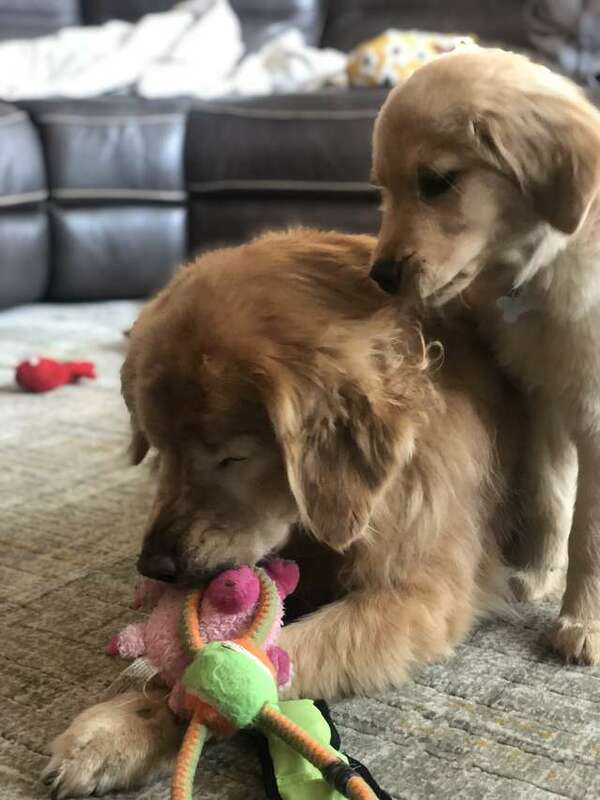 If you want to see more cute photos and videos of these two pups, check out their Instagram page.